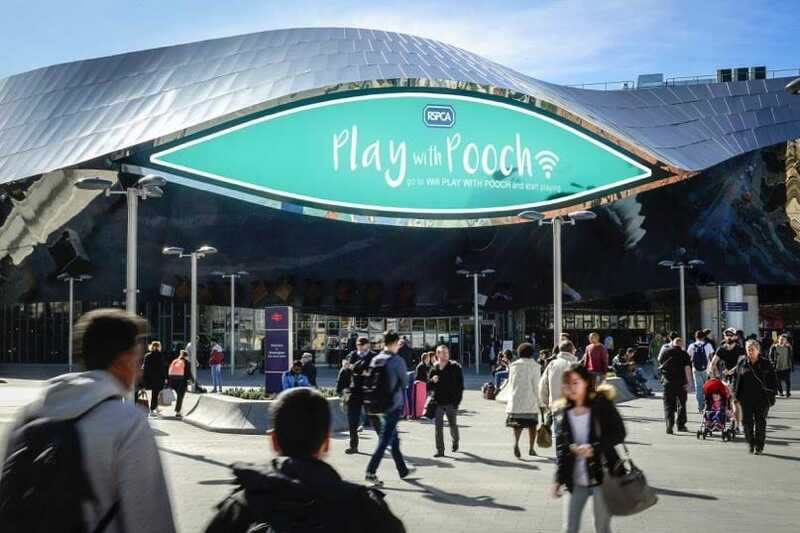 Working with MediaCom, Kinetic DOOH.com developed & produced a new and innovative means of utilising digital out of home to support RSPCA’s latest campaign “Play with Pooch”. Starring rescue dogs in need of a home, “Play with Pooch” is an interactive digital out of home game. The campaign cemented RSPCA’s first involvement in incorporating dogs in conjunction with digital/interactive OOH and stems from a joint MediaCom/Kinetic entry into last year’s Ocean Digital Creative Awards, an industry-wide competition promoting innovation in OOH. 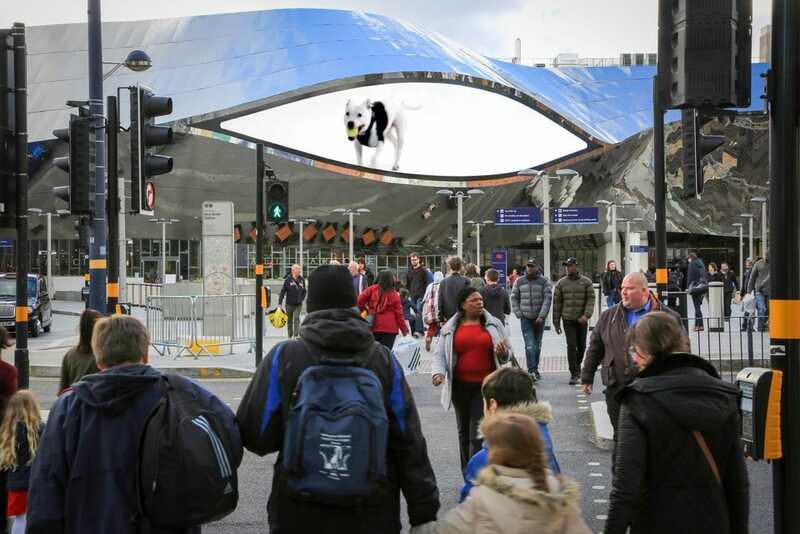 “Play with Pooch” dominated the colossal Media Eyes located at Birmingham New Street Station, turning the area into an experiential playground for pets and their people.